Swedish rock singer, born April 15, 1942, in Solna. Died March 25, 2018. He was born as Erik Fernström in Solna in 1942 and performed as a singer in "The Violents" in the early 60's. Eventually he waged a solo career. In 1963 he released his first LP "Jerry 21". Since then, he did numerous tours in Swedish "folkparks" around the country and had hits like "It Started With A Love Affair", "I Can Jive", "Did I Tell You" and "Who's Gonna Follow You Home". 2013 he staged a farewell show "Jerry - The Farewell Show", but did not abandon the music business. In 2015, the album “Ghost Rider” was released, and the following year he went out on an extensive tour of Sweden under the headline "Man måste få lira". 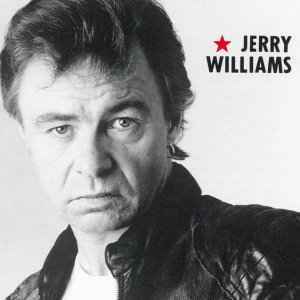 Jerry Williams became 75 years old.